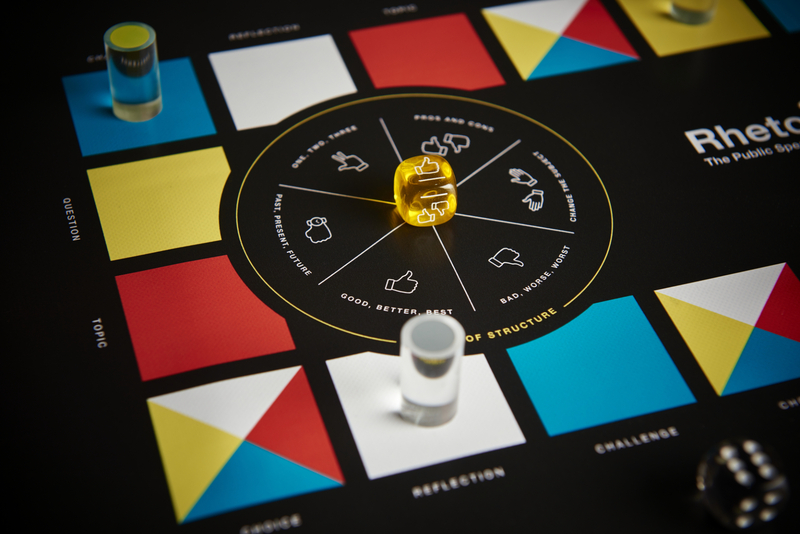 Since it was launched, RHETORIC has become a popular board game, among both those who love public speaking and those who never knew they did. Today, RHETORIC is available as a classical board game and as a multiple-language and multiple-theme app. Thanks to its positive educational impact, there has been a growing demand from trainers, companies and organizations to use RHETORIC professionally. To improve employee communication skills; to foster better storytelling; to create a fun and dynamic team-building experience for people. To respond to this growing demand, we are now making RHETORIC available for professional use. Below we set out the four main categories of professional users and the applicable rates. If you are interested in using RHETORIC in your business or organization, please contact us. We have a simple, straightforward licensing agreement that gives you maximum flexibility.